When a bunded oil tank is not required, single skin steel oil tanks are a handy solution when it comes to storing heating oils like kerosene. This applies no matter whether you’re looking to use them for your home or institution or for an agricultural or commercial purpose. 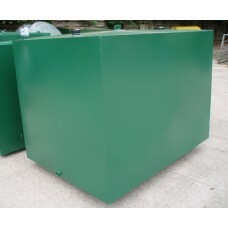 Here at CHF Supplies we are delighted to offer our customers a great selection of bespoke single skin steel oil tanks. 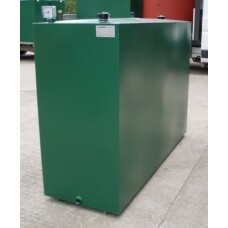 We are able to manufacture single skin steel oil tanks to any size or dimension, with the typical sizes we offer ranging from a mere 500 to 100,000 litres. Our single skin steel oil tanks can all be fitted with fill point cabinets, security cabinets and steel pipework if necessary. All of our tanks are made to precise standards in our Lancashire based steel fabrication workshop so you can be sure that your tank will be built to last. In addition to our bespoke tanks, we also stock ready-made single skin steel oil tanks in sizes of 1100L, 1350L and 2500L. These tanks are made from 2.5mm mild steel and come with a fill point with cap and chain, a tank contents gauge and a bottom outlet fitting kit. If you would like an unusual size of single skin oil tank or have a specific request please call for a quotation here at CHF Supplies. We would be delighted to try to accommodate your individual requirements and create a single skin steel oil tank that suits your particular needs. Domestic heating oil (kerosene) tank complete with gauge & bottom outlet fitting kit. FREE ..